THOR In-Wall Subwoofer - Earthquake Sound Corp. When it comes to home theater, anything under 10 inches cannot seriously be considered high-end. A true theater must be able to produce sub-harmonics that can be felt when called on. 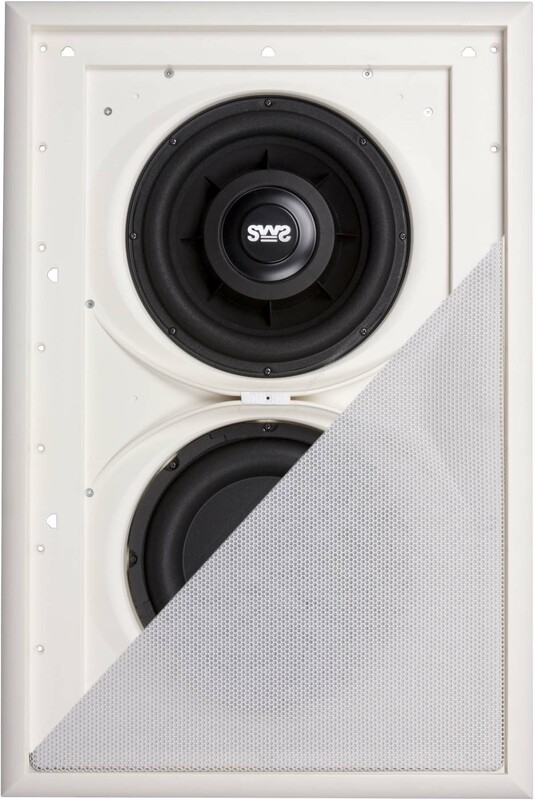 Imitation in-wall subwoofers produce more resonance than true bass reproduction, not only are they a hassle to install, they also cannot be felt. 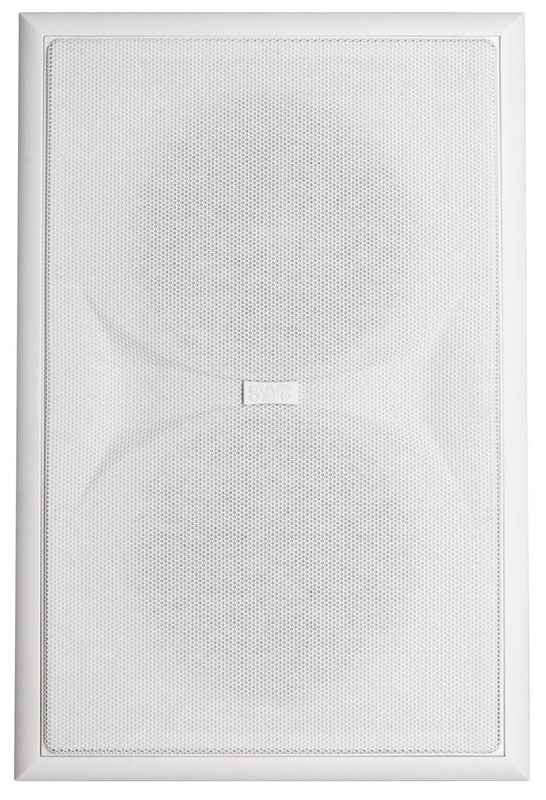 Earthquake Sound's Thor in-wall subwoofer is designed with sound quality, staging and ease of installation in mind. The engineers at Earthquake approached this project at multiple angles so that the product would be ergonomic from install to finish, making it a true marvel. Thor IW-SUB10 is capable of producing sub-harmonics down to 19Hz and has next to zero resonance thanks to its muscular design. The back plate is filled with fiber cloth to absorb some of the impact but the true technology comes from the internal design. Each screw that surrounds the driver and passive radiator is interlocked with a connecting brace that protrudes from the back plate for added support. The bottom of the back plate and back side of the front panel are lined with x-crossing bridges that create a stability unheard of at the in-wall level. Aside from its unique and patented enclosure structure, the Thor IW-SUB10 driver inside it may just be the main attraction. 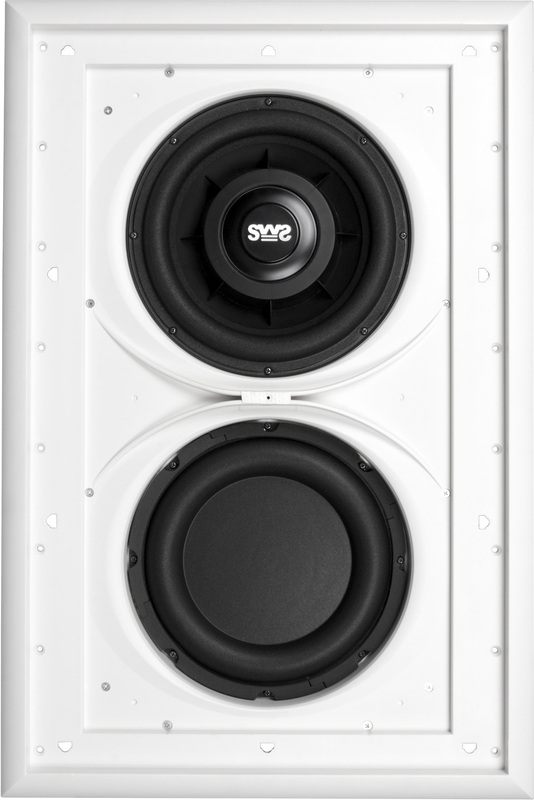 The SWS-10 (Shallow Woofer System) is not the only shallow woofer ever made, but it is the only patented shallow woofer that produces effective excursion and works well for the purpose that it is intended to serve: to deliver bass from a shallow place for those who have limited space but want a great sounding system in their home or mobile application. Installing the Thor IW-SUB10 is easier than any in-wall subwoofer that you will find and we can guarantee this. Other in-wall subs require you to use brackets and put screws at uncomfortable and awkward angles. With the Thor IW-SUB10, there are no bracket necessary. You literally screw the enclosure into the studs from the front, eliminating all hassle. The enclosure drops right into a standard 2x4 wall and screws into any retrofit or existing home leaving you with only one step: wire it up at its spring loaded terminals.